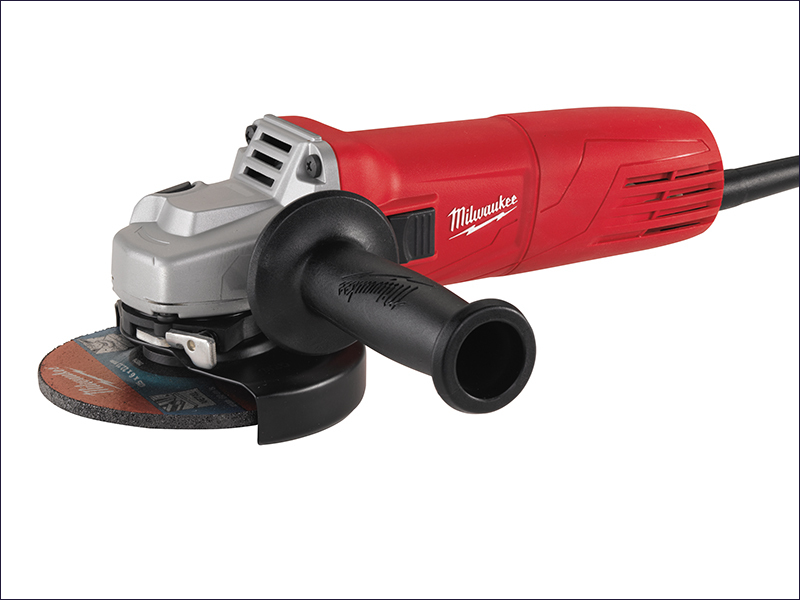 The Milwaukee AG 10-125 Angle Grinder has a powerful, 1,000 Watt motor for strong performance in all applications. It is extremely compact in design, with a short overall length of 276 mm and weight of 2.1 kg. This, along with the long 4 metre rubber cable, allows for more comfortable handling. The angle grinder has a burst resistant keyless safety guard providing excellent user protection, with fast and easy adjustment to the required position. The ramped slide switch allows easy actuating, even when wearing gloves.